A complex and challenging project to introduce the Prestwick Upper Airspace new generation iTEC flight data processor and controller working position system has earned technology partner Indra the NATS Supplier of the Year Award 2016. Julie Elder, NATS HR and Corporate Services Director, presented the award at the annual Deploying SESAR supplier conference attended by more than 70 representatives of 25 NATS supplier organisations. “The Prestwick Upper Airspace project is one of the first major steps in our Deploying SESAR programme and Indra worked with NATS to deliver the new iTEC Flight Data Processor and Controller Working Position within the constraints of what was a challenging project,” said Julie. Accepting the award, Gonzalo Gavin, Indra’s Director ATM Europe, said: “Indra is very proud to have been awarded NATS’ Supplier of the Year, signifying a key milestone of our collaborative partnership. Tim Bullock, NATS Director Supply Chain, said: “NATS has a long-established partnership with Indra and such relationships are an integral part of our supply chain strategy in shaping and delivering optimal technical solutions for our Deploying SESAR programme. “We are pleased this first deployment of iTEC into Prestwick has been so successfully delivered, this provides a good platform to build upon and we look forward to working together with Indra in partnership on subsequent iTEC deployments to the rest of NATS operations. Indra played a pivotal role and worked collaboratively with NATS on the implementation of the new iTEC Flight data processor and controller working positions into the Upper Airspace operation of NATS Prestwick Centre. 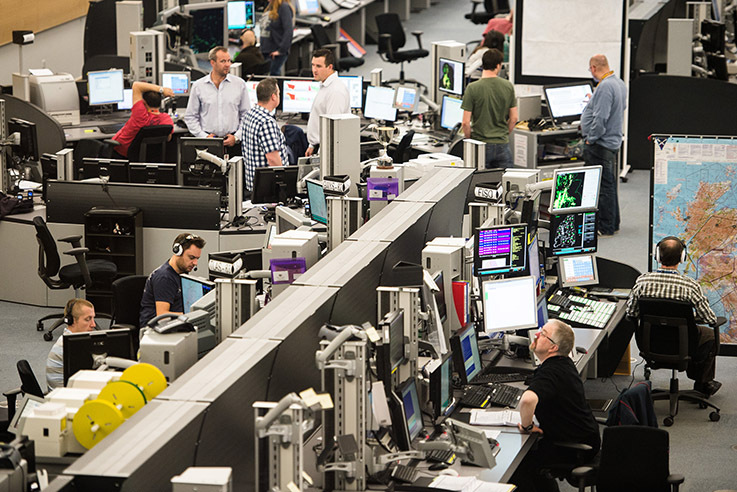 The system has been in full operational service since June this year and represents the first introduction of new technology into ATC operations in the Deploying SESAR programme.